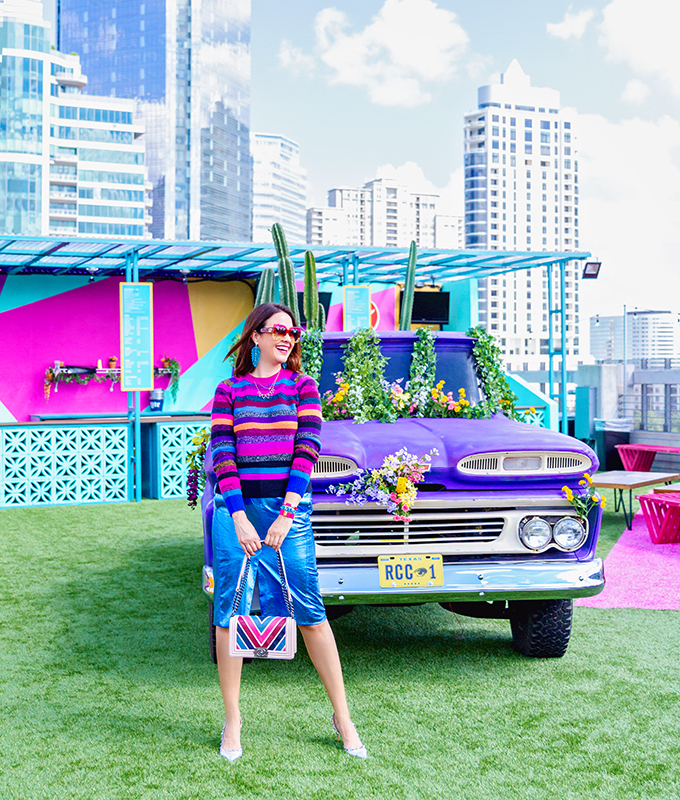 We believe in the power of color! Let me start off with a bold statement: We believe in the power of color! That should be obvious to you, given that our tagline is “More Color, Please!” Clearly we are all about color! And wearing color is truly the only way I know how to dress. As I was cleaning out my closet last week, I realized that I don’t even own a white button down shirt or some of the other neutral items often considered closet essentials. Neutrals don’t do anything for me! But I know wearing color doesn’t come as easily for some people. 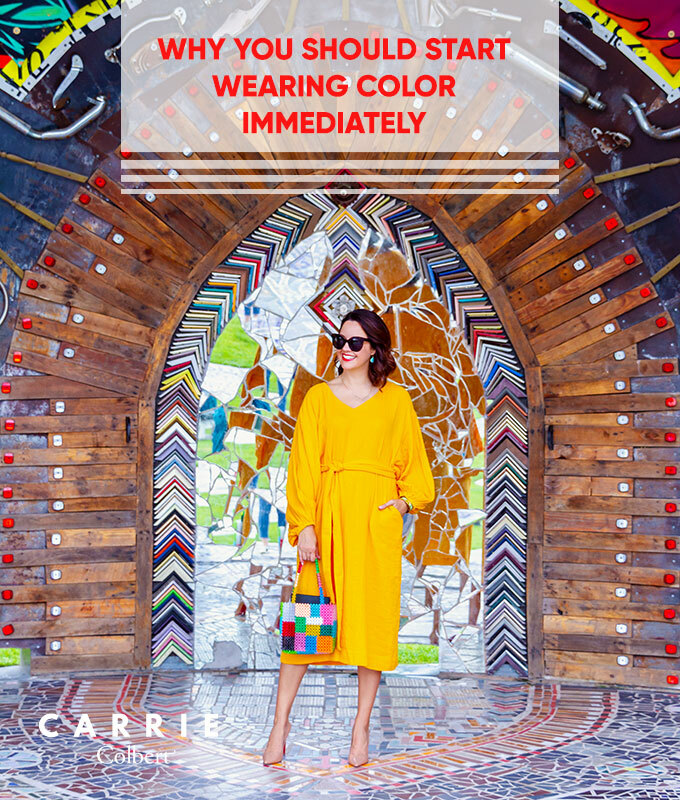 I hear it all the time from you – even some of you who embrace colors in other areas of life often find it hard to wear color. Sometimes people tell me they are afraid of standing out too much if they wear color. Sometimes people tell me they aren’t sure how to wear color. Or sometimes people tell me that they don’t know what color to wear. Well, we are here to address all those concerns! We are here to persuade you to add more color to your wardrobe. 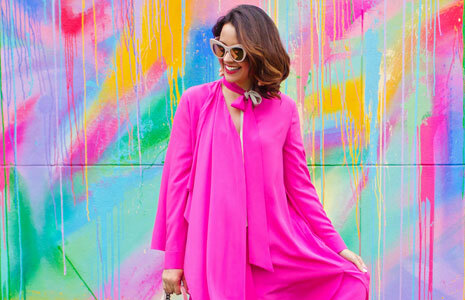 We are here to convince you to step out of your comfort zone and wear more color! 1 – Color is good for your soul. Wear more color, and your soul will thank you! 2 – Color makes you more approachable. And when you’re more approachable, you open yourself up to new opportunities, new people, new connections. 3 – Color immediately brightens your mood. Try being in a bad mood when you’re wearing a rainbow of colors. I dare you! Trust me – it’s practically impossible! I know from my own personal experiences. 4 – Color brings delight to those around you. 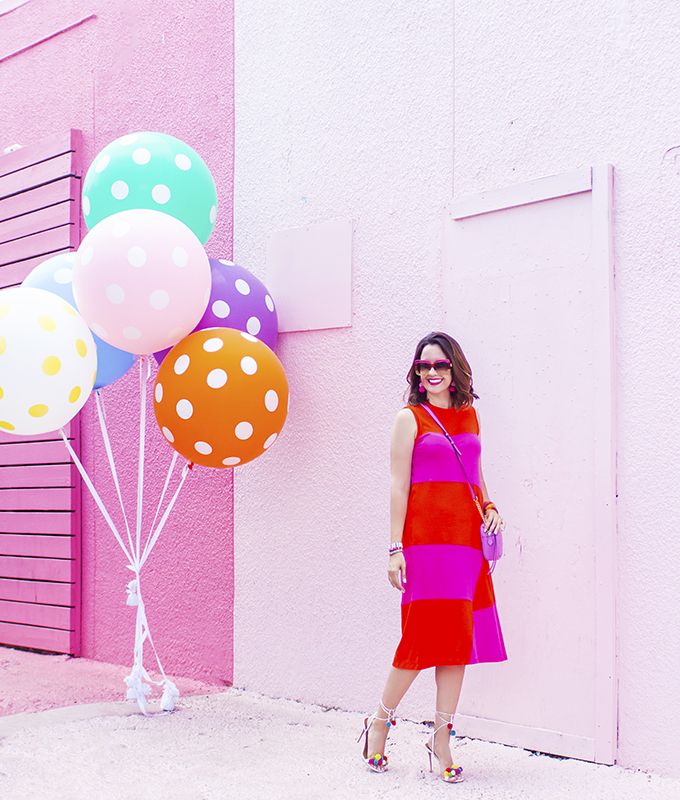 Not only will wearing color brighten your mood, but it will also brighten the world around you. You’ll be surprised by how many people will smile simply because of your colorful outfit. 5 – Color sends a message. 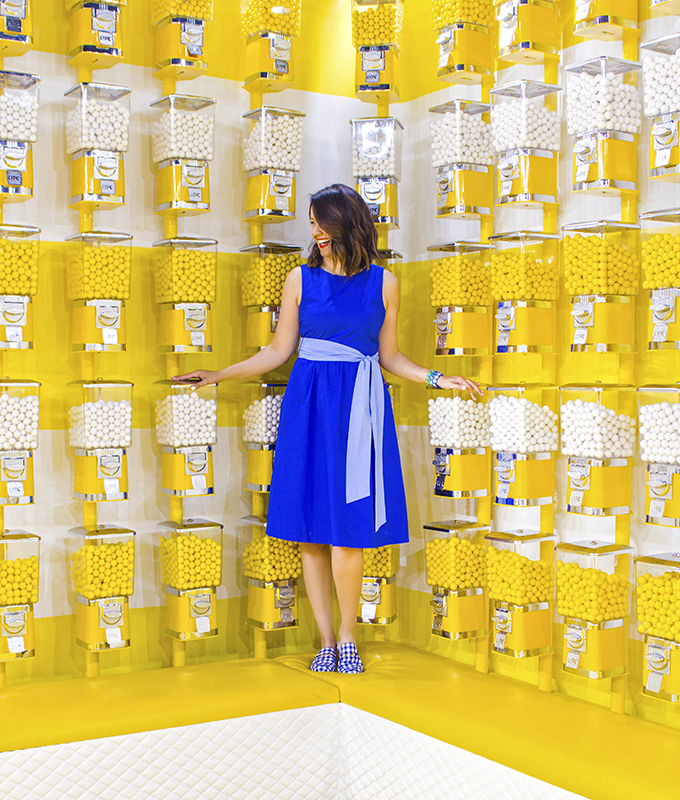 Are you familiar with the psychology of color? For more information on the subject, check out this article. Suffice it to say that what you wear speaks loudly and clearly on your behalf! So, think about your messaging before you get dressed in the morning. 6 – Color can improve your performance on the job. Don’t believe me? Check out this article on how colors subconsciously affect how you perform, how other people view you, and more! 7 – Color energizes you and motivates you. That’s right – it’s time to trade in those black workout leggings for some colorful leggings! 8 – Color powers you up. Need a confidence boost for your next big presentation? Choose a bold hue! 9 – Color is a great conversation starter. These are just a few of the compliments and conversation starters you’re likely to get when you wear more color! 10 – Color is downright fun! 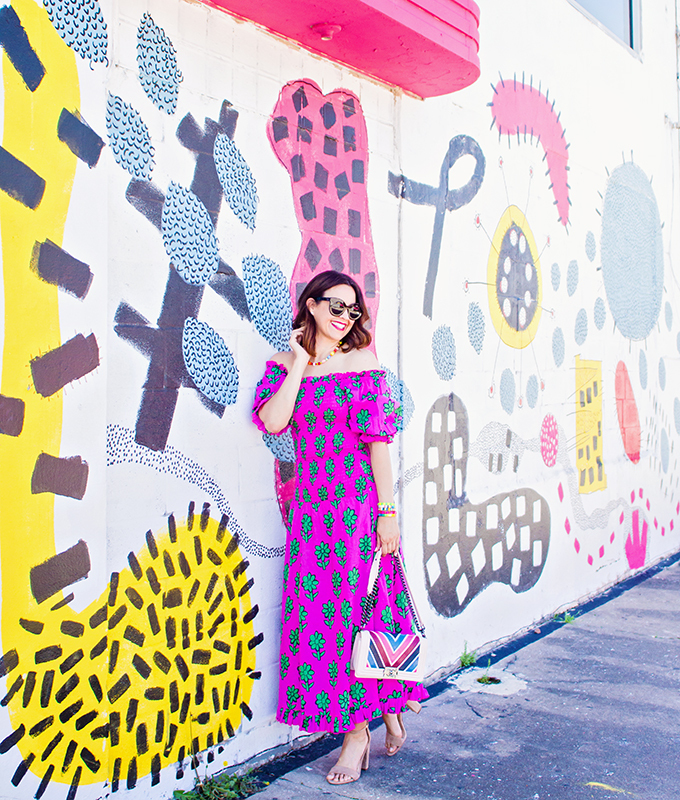 Bottom line: color is fun! And who among us couldn’t use more fun in her life? 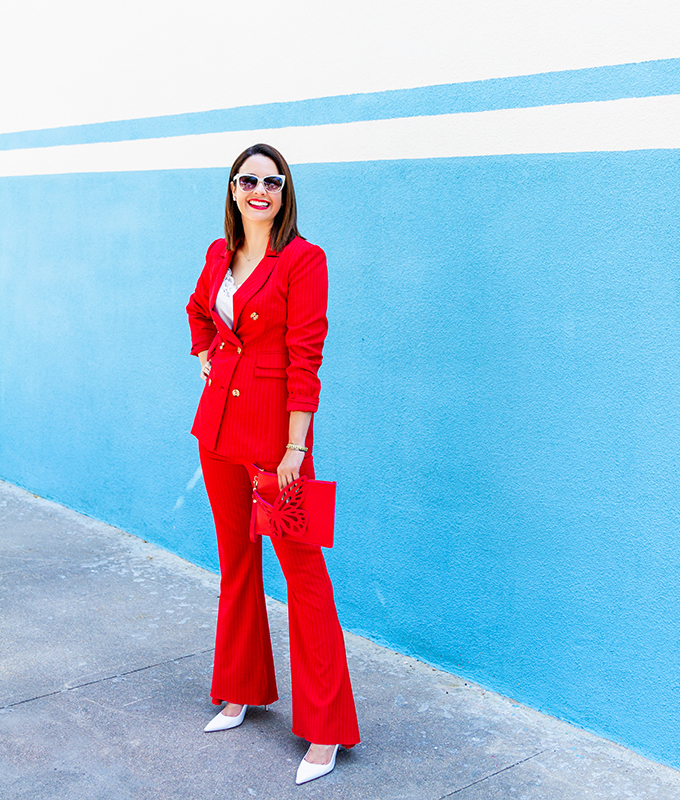 Are you feeling inspired to incorporate more color into your wardrobe? Do it! Be bold. Make a statement. If a picture is worth a thousand words, make sure you’re composing the right look to say what you want to say! Now, for a more humorous take on this topic, check out these 11 reasons why wearing color is beneficial. Lastly, for more info on how to wear color, be sure to check out our how to wear color series: how to wear blush pink, how to wear mint green, how to wear green, how to wear orange, how to wear burnt orange, how to wear turquoise, how to wear blue, how to wear yellow, how to wear red, and how to wear living coral. One of my first jobs after college was working at a Lilly Pulitzer store. 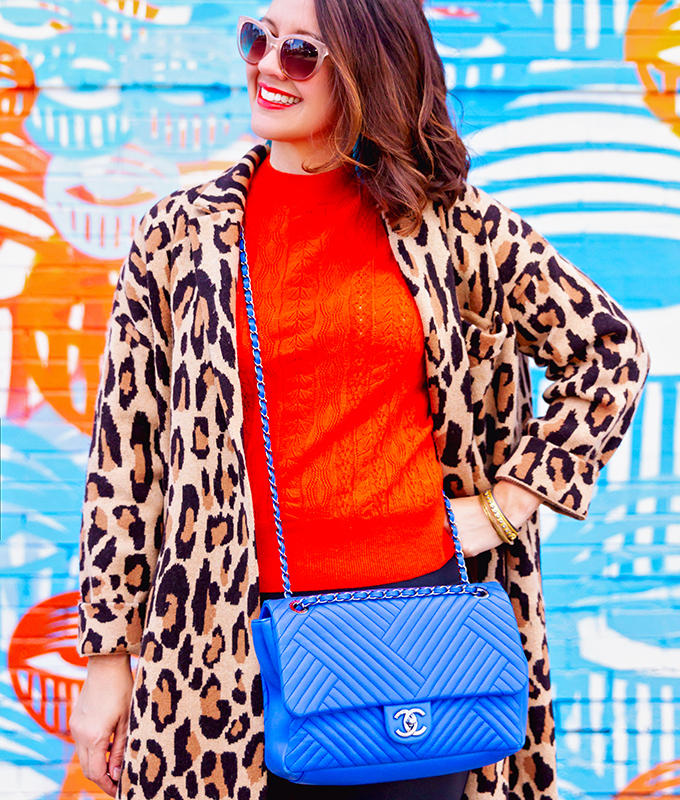 My closet went from being very neutral to very colorful in a hurry! Ever since, I have maintained a balance of basic neutrals (black/brown/grey bottoms) that I enjoy mixing with colorful tops. Also, your comment about not owning a white button-down made me laugh. I don’t remember the last time I had a plain white button-down, but for a much more practical reason. I was always staining them! LOL – that too, Lee! They wrinkle too easily and get messy too easily. Head to toe in red, white, and blue. How can it already be four months?